I am thrilled share some projects I made with Doodlebug's latest yummy collection, Kraft In Color which were featured on the Doodlebug blog yesterday! What I love most about this collection is how versatile it is and how you can literally tailor your color scheme to fit any theme!!! 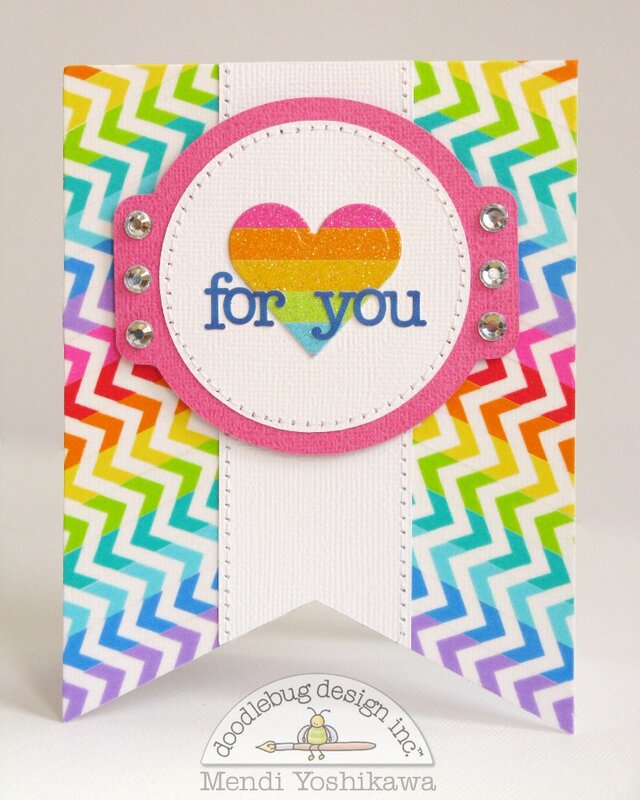 But before I go, I also have a quick little banner shaped card I created using the new Chevron Washi Tape Assortment. I knew I wanted to set the washi tape at a diagonal and the banner shaped card took the guesswork out of figuring out what angle to place them at. I simply cut my card front piece in half down the center and then set to work covering each side with the rainbow chevrons, folding over the excess to the back of the card front. When I was done I created a center band cut from white cardstock to hide my seam and adhered everything to a coordinating card base cut from my Silhouette (any pennant shape will work for this--I simply stretched my dimensions to be A2 size, 4-1/4 x 5-1/2). Two beautiful projects Mendi. It's so nice to see you enjoying the Doodlebug products and lovely to be on the DB team together. Awesome projects! 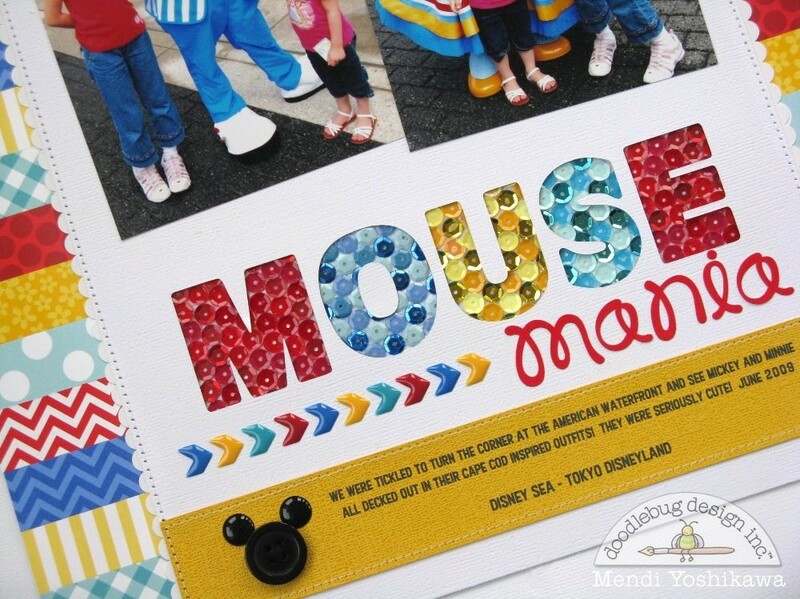 Those sequins on the layout are so cute! 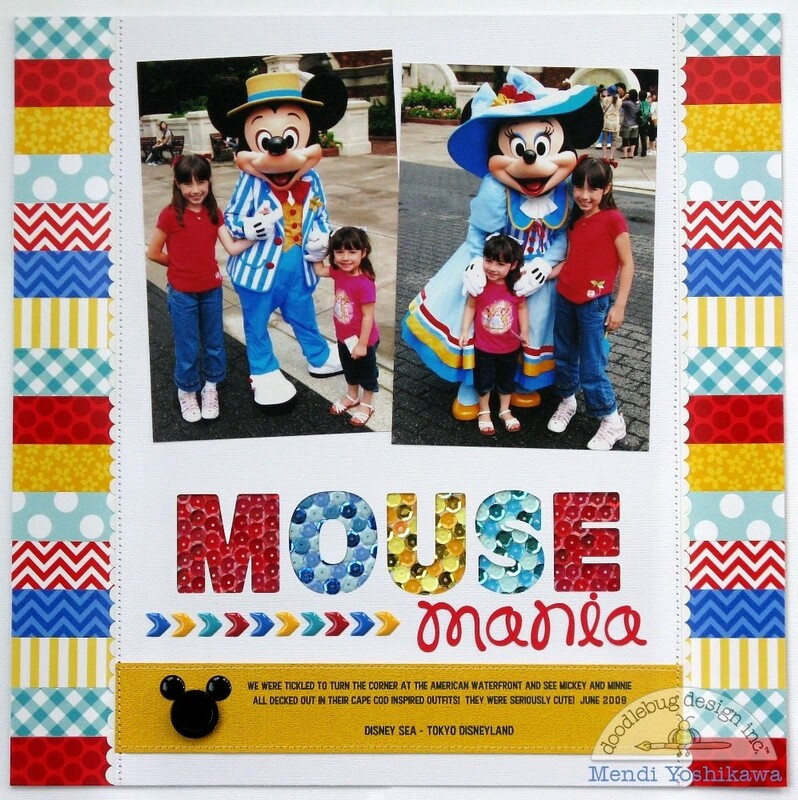 And the card is super fun...love how you used all that fun wash...such a fun rainbow effect! I've all ready said it, but that title is amazing! Everything you do is too cute!